Join us in the fight against cancer at 2019 UCLA. 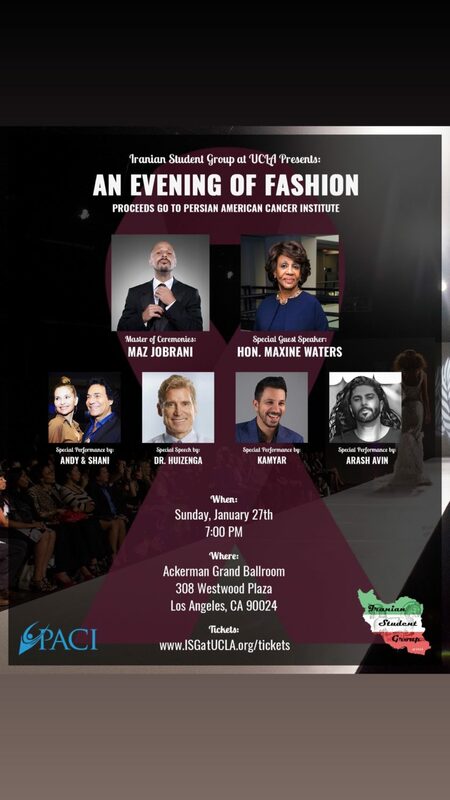 Seeb magazine is proud to support Iranian student group at UCLA and the Persian American Cancer Institute for 2019 fashion show fundraiser. Enjoy a special night of music, fashion, laughter, support, and unity. Your attendance will help fund research and treatment, support patients, and spread cancer awareness as all proceeds will go to PACI.